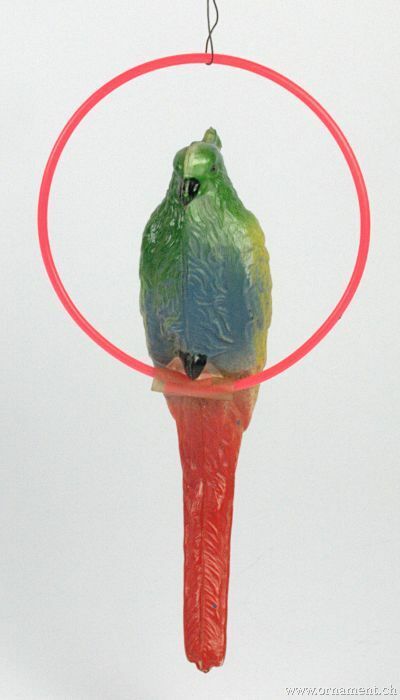 Rightly, birds are the most popular ornaments for decorating a Christmas tree. 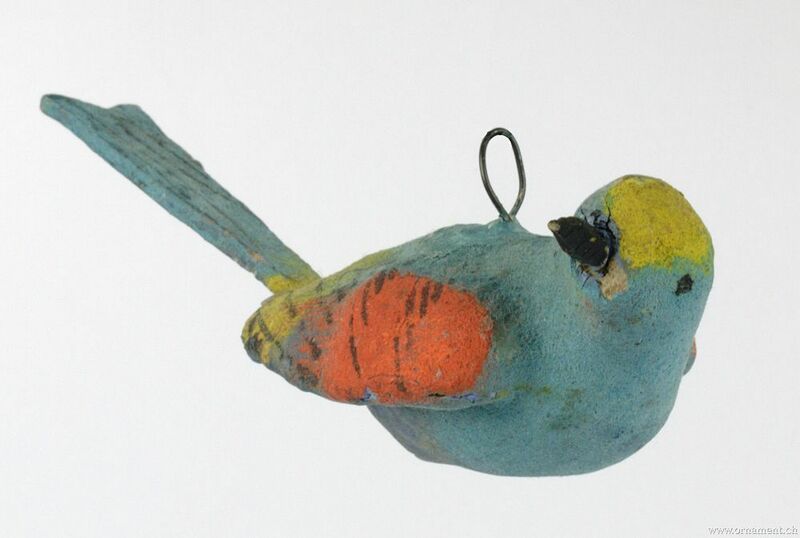 Seeing that the feathered dwellers of the sky have chosen the tree as nesting place they deserve a free place on the most beautiful tree, too. 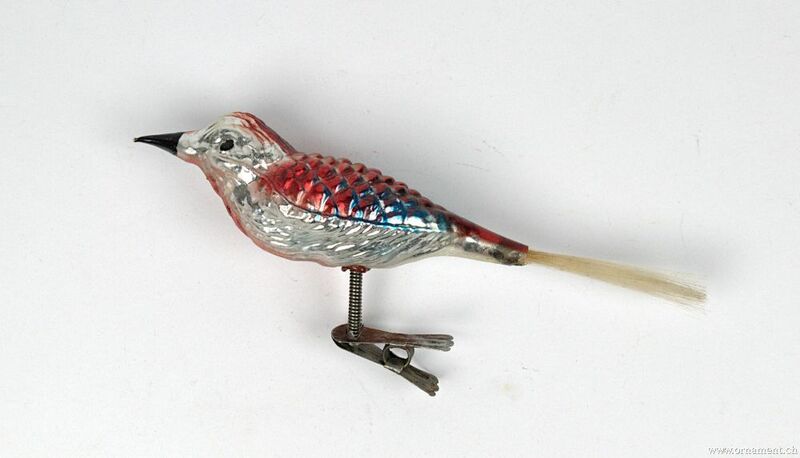 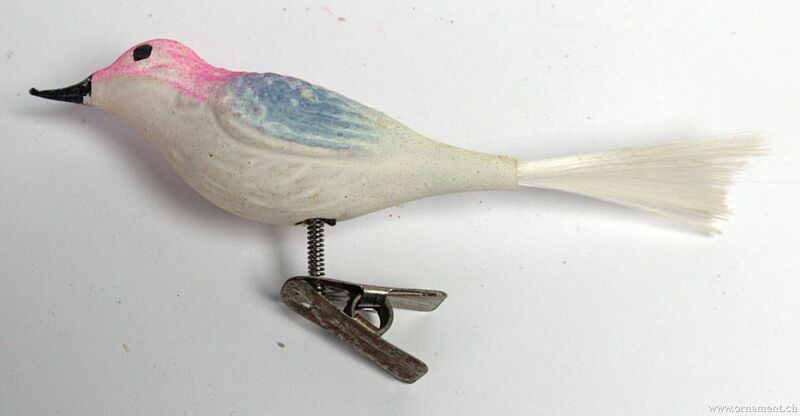 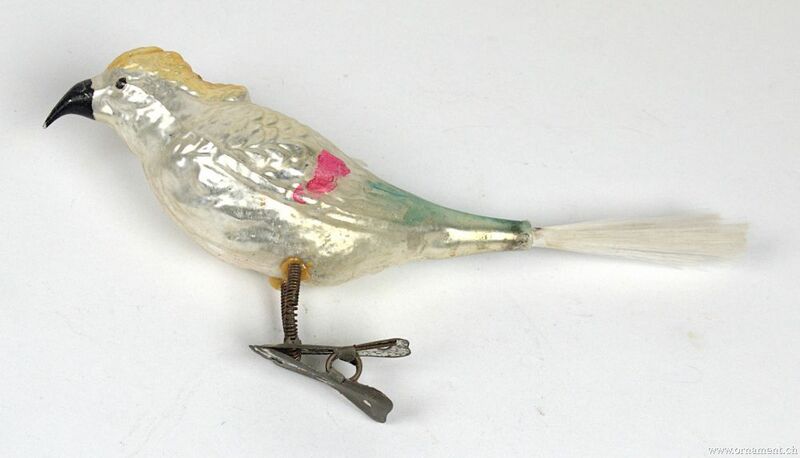 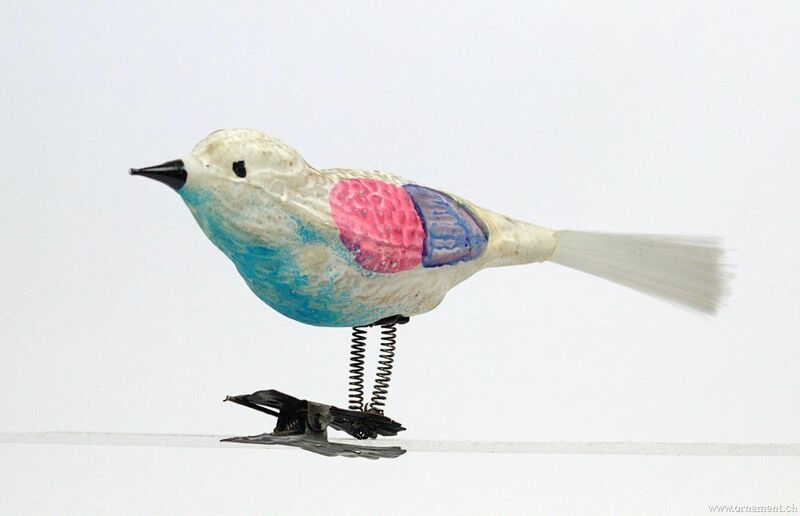 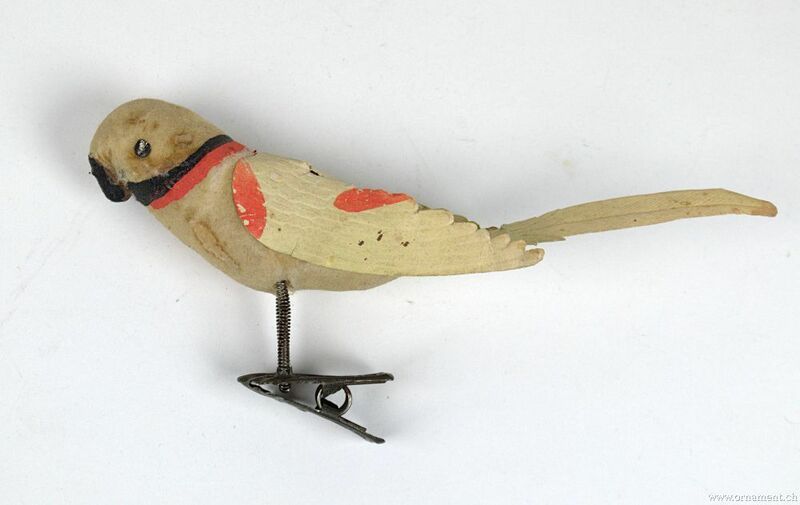 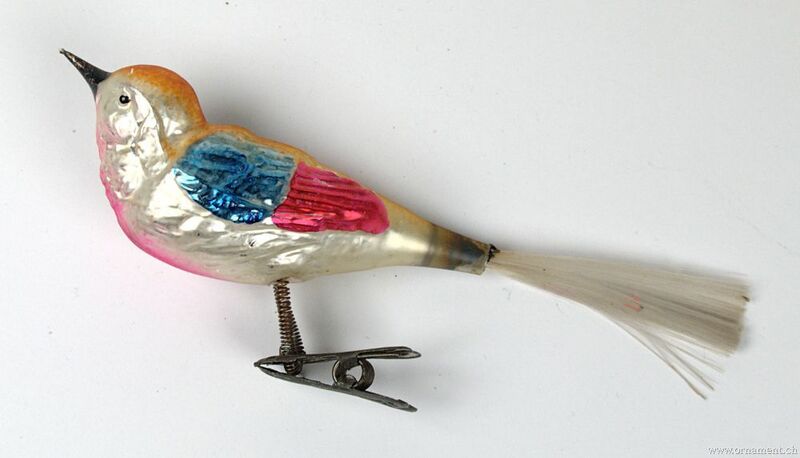 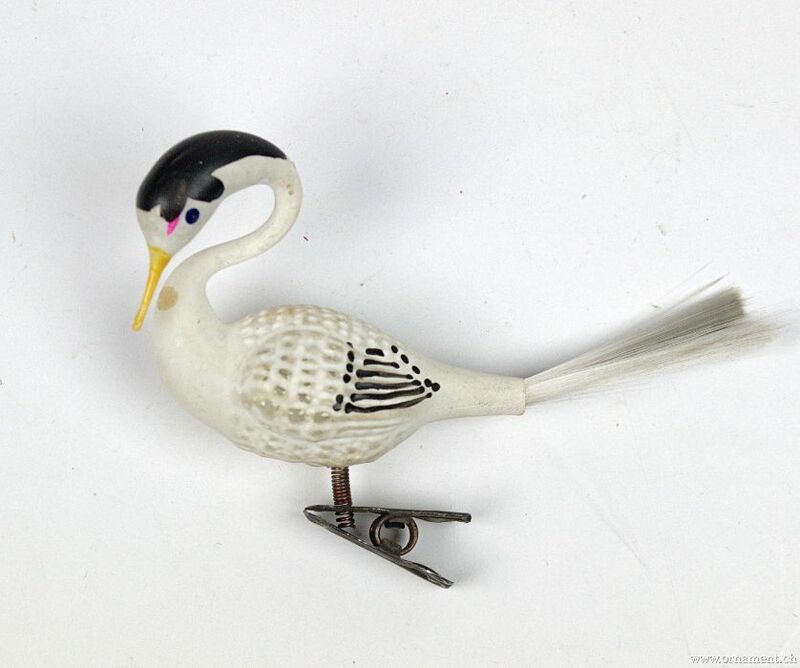 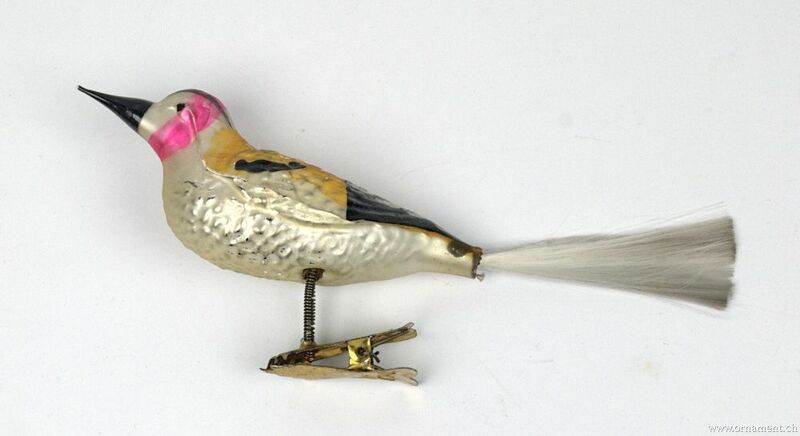 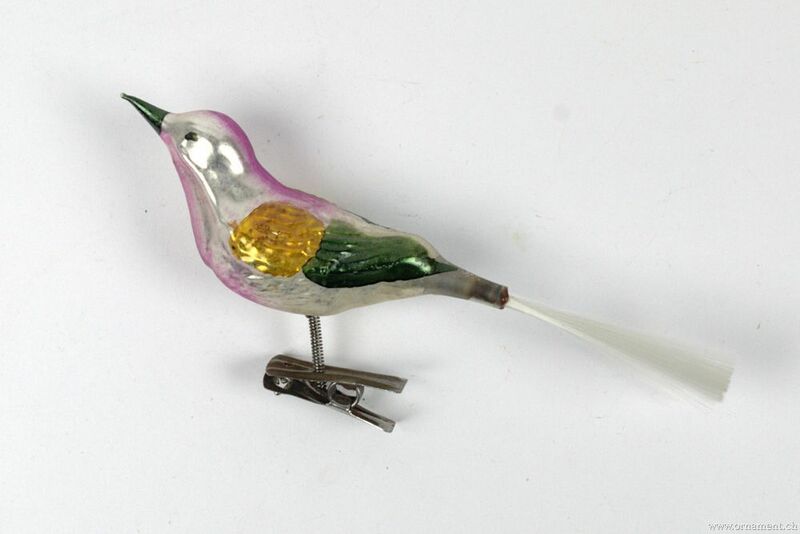 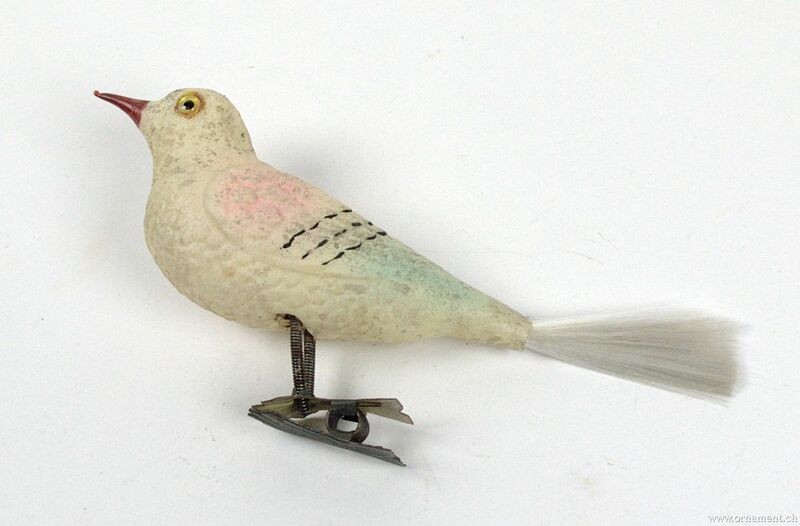 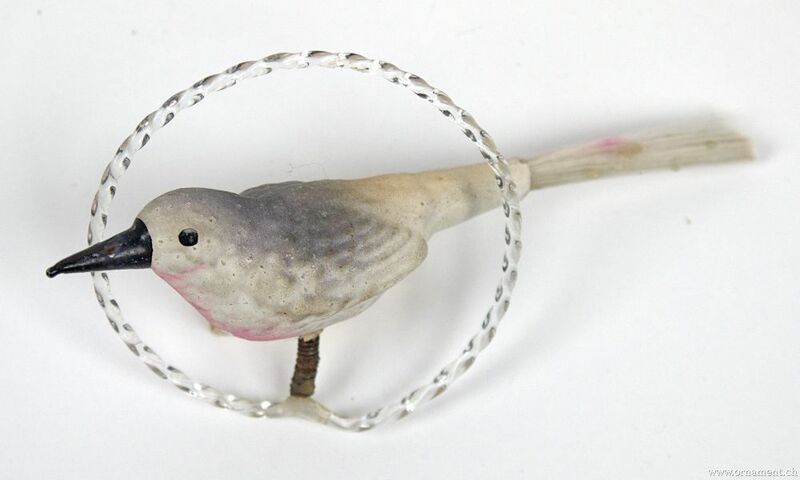 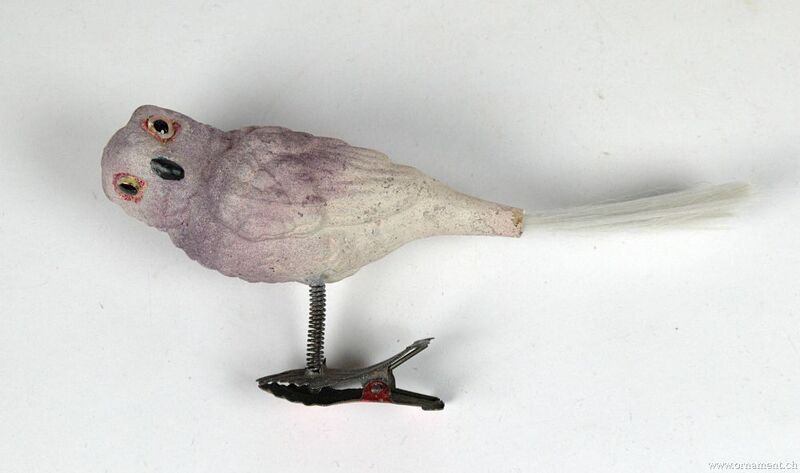 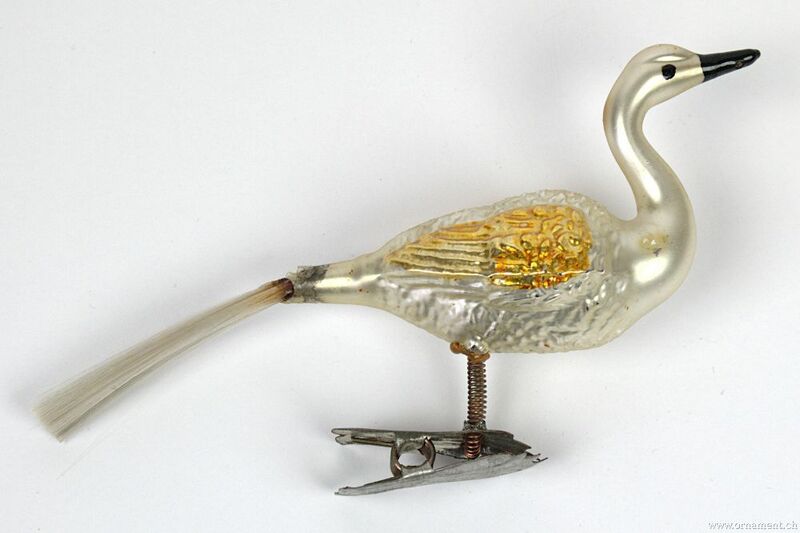 Thanks to this popularity a great variety of materials was used for bird ornaments: glass particularly, but as well paper, cotton, metal, Dresden cardboard and more. 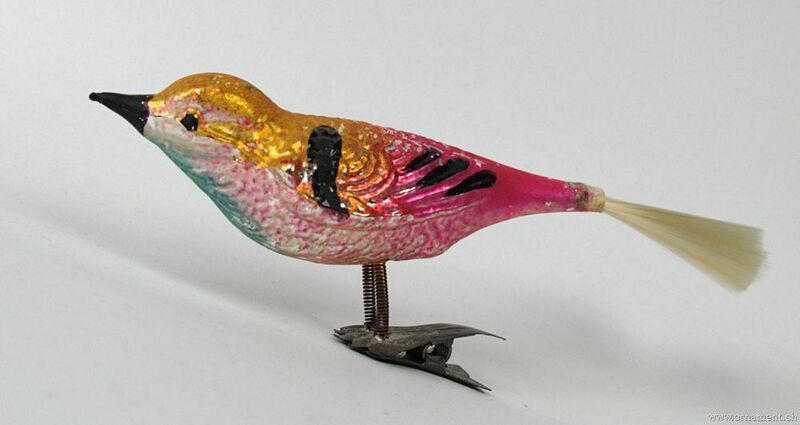 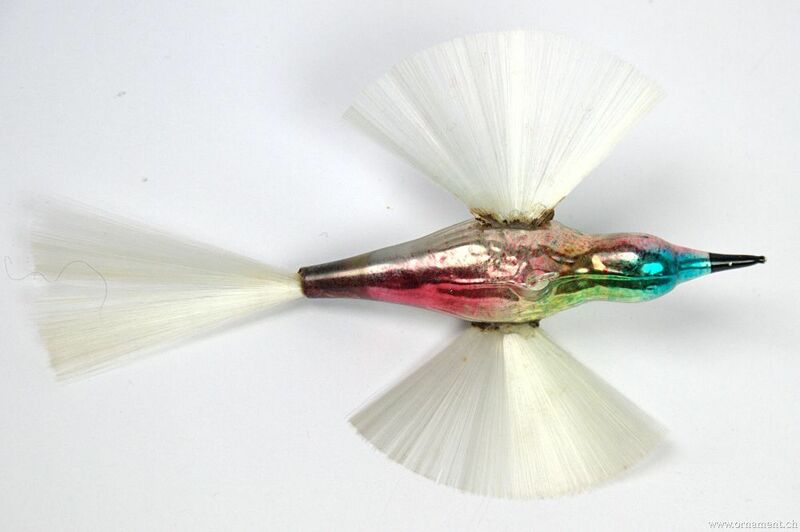 Even a person who is no expert in that matter has knowledge of the «common songbird» with its painted blown glass body and spun glass tail. 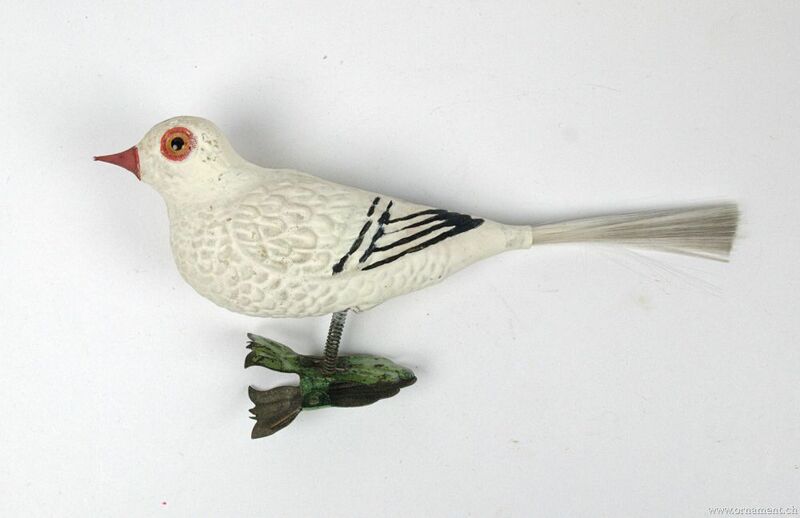 Naturally, the symbolic significance which birds have got from time immemorial added to their popularity: The dove stands for peace, the stork for fertility, the owl for wisdom, the swan for grace, the parrot for long life—themes that associate with Christmas by themselves. 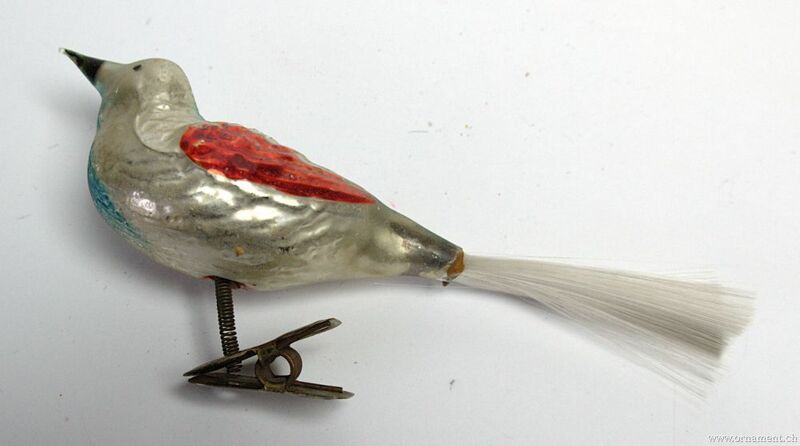 I will not refrain from quoting an interesting hint due to the standard work of George Johnson (volume II, page 46): "Tradition says if you find a bird nest in the Christmas tree you cut, it will bring good luck to the house for the whole year".